Following the festive season the month of January can feel like a real downer, as it creeps in with the cold weather and dismally short, dark days. Yet the New Year can also put us in the mood for planning ahead, so why not brighten up your January by organising this year’s holiday? British holidaymakers are becoming increasingly aware of the benefits of booking early, according to research done by ABTA, the UK’s largest travel association. Better deals and cheaper prices are some of the main reasons for booking early, according to ABTA research, with 62 per cent of people naming this as their motivation. It can be fun to make a spur of the moment holiday decision, and hope to get a last minute deal, but early booking, particularly in January and February has many advantages. Booking in advance can mean better availability, and with Fox Narrowboats you’re more likely to get the boat of your choice. It’s also easier to get time off work on your desired dates if you plan well ahead. Remember it’s not just British tourists who are looking forward to their summer holiday, but hundreds of tourists from other countries too. We have a limited number of available boats and dates. Even if you’re not quite ready to book your 2018 cruise, January is a great time to start plotting your narrowboat escape. 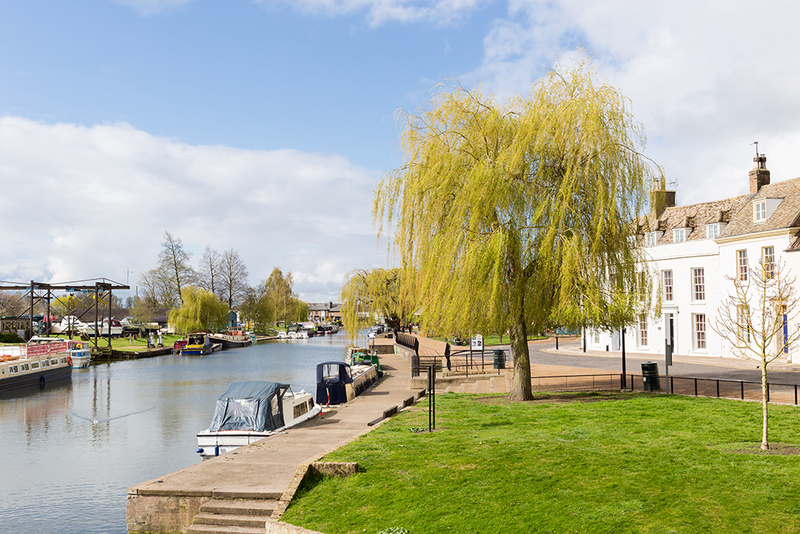 To help, we’ve compiled a list of the top three destinations you should visit in the Fens this year – which are sure to whet your appetite for a boating holiday. The University of Cambridge, with its impressive college buildings, some dating back to the 13th century, is a charming place to explore and will provide endless enjoyment for your visit. You may also like punting, cycling, shopping and eating out in Cambridge. The cathedral’s famous lantern tower can be seen for miles around, and the cathedral is also recognised for its other 14th century addition, the Lady Chapel with its delicate carved stonework. The Stained Glass Window Museum is a hidden gem within the cathedral with a display of over 100 original stained glass panels. Ely is also known for its antique centres, ancient narrow streets, timbered houses and medieval gateways. This 250 acres of parkland is a great place to moor up for a day and offers entertainment for all the family. There is a huge watersports centre, lakes for boating and sailing, and the Nene Valley Railway, offering trips on a heritage steam or diesel train.